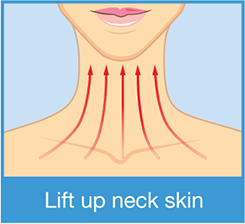 It’s no secret the neck is one of the first places you show signs of aging, and one of the most difficult to repair. No matter how much you exercise, or how much sun protection you use, the skin on your neck still starts to thin and sag as you get older. Most skincare specialists will tell you that the problem is collagen. That you need to boost collagen production to get the fuller, smoother, tighter skin you desire. It’s true that collagen is a factor in reclaiming youthful skin. Boosting collagen levels will only get you so far. Especially in an area as sensitive and exposed as your neck. To really achieve radiant, wrinkle-free skin, you need to start at the cellular level. I’ve developed a revolutionary new formula that specifically targets the collagen-building cells responsible for producing healthy collagen in the first place. A formula that strengthens, protects and repairs these critical cells. Allowing them to produce healthy collagen for much longer, giving you smoother, younger skin. And the results have been astounding. The women in my clinic have seen such magical improvements in their necks that I’ve named this revolutionary cream Magestic. Under your skin is a cellular matrix composed of dermal connective tissue. It’s mostly made up of collagen and elastin. This connective tissue is the structural support that keeps your skin looking firm and supple. As you age, the connective tissue suffers the brunt of the damage. It picks up not only damage from the natural aging process, but also from environmental factors like overexposure to UV rays. Aging breaks down the connective tissue, and your collagen becomes fragmented. Your skin loses strength and flexibility. That’s when it starts to sag, wrinkle and thin out. And people in their 80s have four times more broken down collagen than people in their 20s. Skincare specialists will swear it’s just lack of collagen. But collagen doesn’t control the structural integrity of your skin. It’s a group of special cells known as dermal fibroblasts. These fibroblasts control the production of collagen and other proteins your body needs to maintain youthful skin.5 When fibroblast function is damaged or altered, so is your collagen — leading to accelerated skin aging. Impaired fibroblast functioning also increases oxidative stress, another contributor to aging. But by supporting your dermal fibroblasts you not only improve structural support of your skin, you also stimulate the fibroblasts into a more “youthful” state. You see, fibroblasts don’t actually lose their ability to produce collagen with aging. The breakdown that comes with aging simply impairs it. But when you feed your fibroblasts the nutrients they need to stay healthy, they can keep producing healthy collagen well into old age. And Magestic’s powerful formula does just that. The mighty Edelweiss fights off oxidative stress. 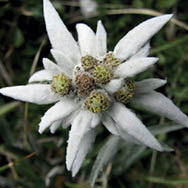 Edelweiss is a flower that grows in brutal mountainous environments from the Alps to the Himalayas. It was built for survival. And it’s a main ingredient in Magestic — one that helps your skin not just survive, but actually defy aging. This potent alpine flower protects against oxidative stress from air pollution and UV radiation. It also recreates skin tension, tightens neck skin, and smooths out wrinkles. This alpine flower supplies your skin with essential nutrients to keep it young and supple. And nothing provides moisture quite like hyaluronic acid — it can even hold up to 1,000 times its own weight in water. Hyaluronic acid dramatically increases skin hydration, plumping up skin and keeping it moist. And of course it’s part of my new formula. I’ve found an even better form. One that has far more effective rejuvenation powers. I’m talking about new nano-hyaluronic acid. This nano-hyaluronic acid doesn’t just improve your skin’s outer appearance. It also delves deep down into your connective tissue to support healthy fibroblasts. Studies show that hyaluronic acid increases fibroblast reproduction, and collagen production.11 It also helps decrease the production of damaging proteins that cause collagen breakdown. Magestic is packed with another ingredient that also fights back against collagen deterioration — vitamin C with Gotu Kola. Vitamin C is an essential part of the collagen-building process. It stimulates collagen synthesis in fibroblasts — the process by which damaged collagen is replaced with new, healthy collagen. In studies, extended exposure to vitamin C caused an eight-fold increase in collagen synthesis.12 And an increase in healthy collagen means firmer, smoother skin for you. Vitamin C also shuts down the enzymes that cause collagen to deteriorate. Extracts that combine these two wrinkle-defying champions significantly improve skin firmness, elasticity and hydration. In one study, patients evaluated the effects of vitamin C in treating wrinkles, sagging and tone. They rated vitamin C as improving their skin by 84.2%. I’ve never liked the phrase “turkey neck.” I think it’s insulting. And it’s a real problem many people — mostly women unfortunately — face as they get older. But with Magestic you don’t have to accept “turkey neck” as your fate. This powerful cream is designed to lift, tighten, and smooth out your skin with results that not only last, but keep improving as you use it. Those who have tried it have seen how effective it is, and now it’s time for you to see for yourself in the mirror. I am so confident you’ll love Magestic that you can try it completely risk-free. It comes with my 100% money-back guarantee. If for any reason you aren’t satisfied with Magestic you can send it back for a full refund within 90 days. 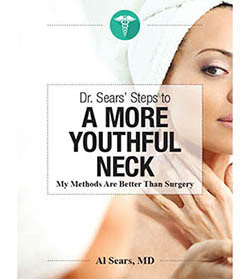 Act now and you’ll also receive a free digital copy of my report — Dr. Sears’ Steps to A More Your Youthful Neck. 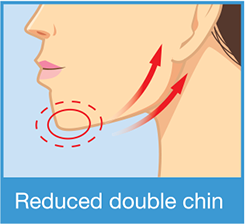 This game-changing e-Report is full of non-surgical solutions to achieving a smooth, firm neck at any age. Normally this e-Report sells for $19.95. But today it can be yours FREE — just as a thank you for trying my new formula, Magestic. Order Magestic right now and celebrate not just the release of this incredible new product, but also a more youthful, radiant you. 4 Jegasothy, S. Manjula, et al. 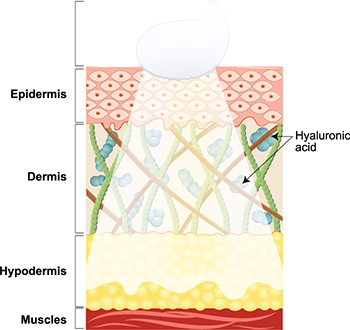 “Efficacy of a New Topical Nano-hyaluronic Acid in Humans.” J Clin Aesthet Dermatol. 2014 Mar; 7(3): 27–29.